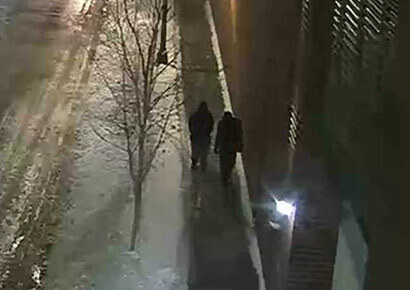 The Chicago Police department is asking the public to help find two individuals who are “people of interest” in the racist and homophobic assault of openly gay Empire star Jussie Smollett. Anthony Guglielmi, the department’s chief communications officer, on Wednesday posted two photos from a surveillance camera on social media. The images, however, are extremely unclear and depict two individuals shrouded in darkness with no visible facial features. Smollett, 36, was attacked in downtown Chicago in the early hours of Tuesday morning as he walked to his apartment after eating at a restaurant. He was accosted by two men wearing ski masks who started shouting homophobic and racist slurs at him. Smollett was beaten in the face and had an unknown substance, possibly bleach, thrown onto him. The men also put a rope around his neck before fleeing the scene. It’s since come to light that Smollett was on the phone with music manager Brandon Z. Moore when he was assaulted. Moore said he heard the attackers yell, “Maga country!” Maga [make America great again] is a slogan popularised by Donald Trump during his election campaign. The FBI are also believed to be investigating a threatening letter received by Smollett on 22 January that could be connected to the attack. The letter states, “You will die black f*g,” and included a white powdery substance. The substance was found to not be dangerous. 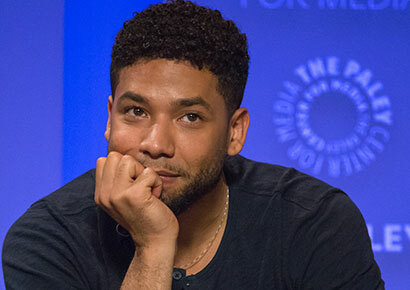 Smollett is said to be “at home and recovering.” He has not yet commented on the incident on his social media.